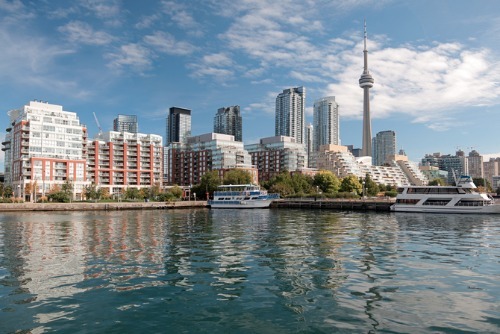 The Toronto waterfront is slated for big things. A planned 25-year buildout in what will become a new neighbourhood—and a sprawling one at that—the biggest real estate developers in the city are building towers in the East Bayfront Precinct. Naturally, investors will be in close pursuit. Brian Bogaert, a money and wealth coach, bought a one-bedroom-plus-two-dens unit at Lakeside Residences, a Greenland Group condominium, and he says the novel layout gives him options. While one-bedrooms are easy to rent, two-bedrooms have higher square footage, but the one-plus-two-dens provide Bogaert the best of both worlds. Tridel’s Aqualina, which sold out, is right on the water and, according to Morrison, is among the acme of the new developments. While the Queen’s Quay still looks barren, the area is set to transform in just a few years when the new Toronto Star complex is finished.